Robyn graduated as a Level II Dental Assistant in 2006, from Georgian College. Working in Guelph right after she graduated as a dental assistant, was a great stepping stone for Robyn. But realizing that her heart lies in her hometown of Parry Sound she moved home. 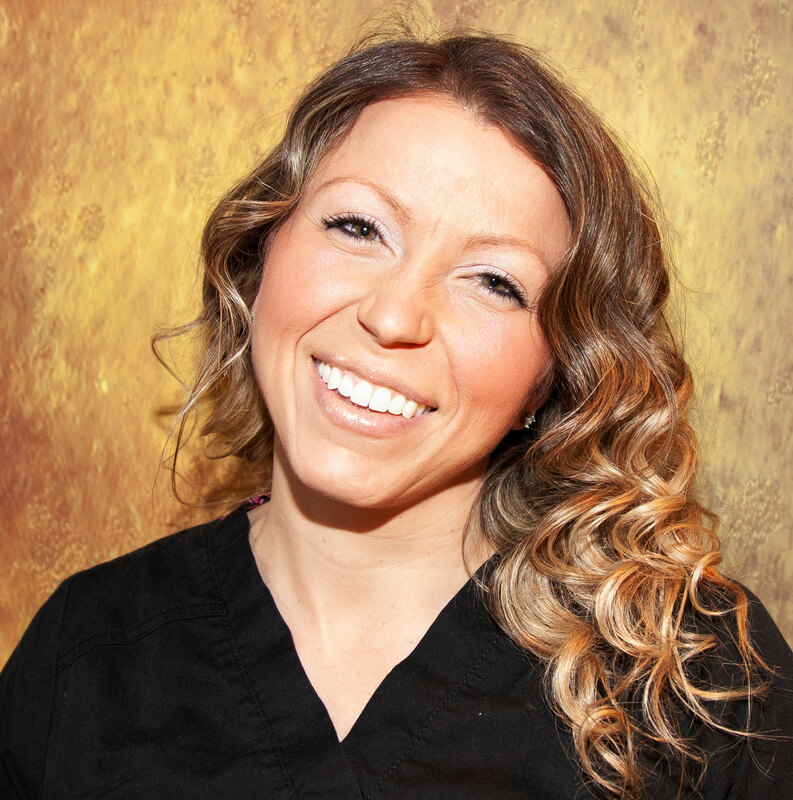 She has been working at Dentistry On The Bay as a dental assistant for Dr. Lahti since 2010. Robyn really enjoys working side by side with Dr. Lahti helping clients achieve their healthy smiles, and having the responsibility of department Supervisor for the Assistants. Robyn is also the Infection Control Officer and takes pride in keeping the office up to date by following current guidelines and regulations. In 2016, Robyn went to the Planmeca University in Dallas, Texas with Dr. Lahti to be trained on how to design, mill and fabricate crowns! Robyn has two beautiful children, Josh and Lexi and loves spending time with her kids and her family love all four seasons that Georgian Bay country has to offer and really love summer! Swimming, boating and campfires.